As always, it’s the little differences that go a long way. 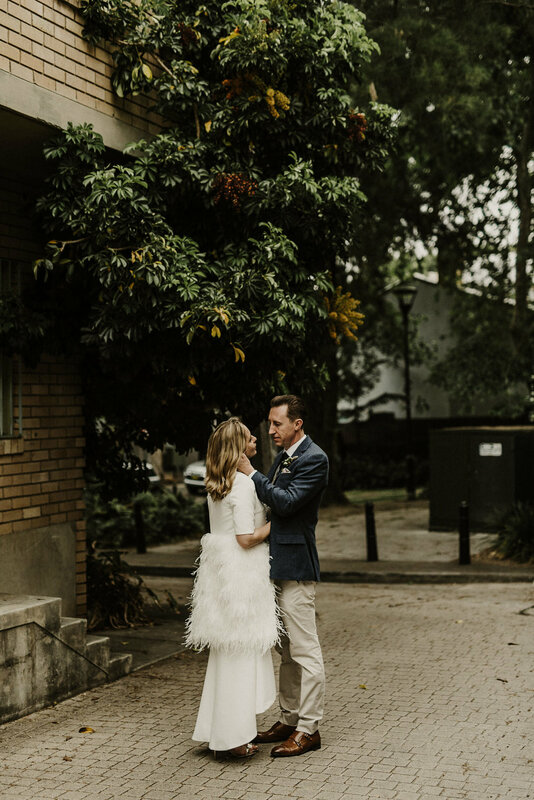 Simone and Joel got ready at the same house in Redfern, before Joel went off to the pub for a few cheeky pre-ceremony beers with his family and some mates. Simone had both her parents and both her nieces walk her down the aisle, because some gendered traditions don’t make a whole lot of sense anymore. They had no official bridal party and just hung out with some of their closest friends and family before the ceremony while getting ready because they wanted it to be a pretty casual affair. And whilst it was casual it was by no means imbued with any less meaning - as a matter of fact I lost count of how many times I heard Simone saying “That was so much fun!” about the ceremony (side note - she also kept talking about bangin’ Joel looked, it was quite sweet) - rarely have I seen two people so physically ecstatic to be wed. Afterwards we wandered around Surry Hills. I find I generally have to gently coax people into the right headspace whilst off to take some photos, but I basically just sat back and watched as they cracked jokes (generally at each others expense) and told stories. 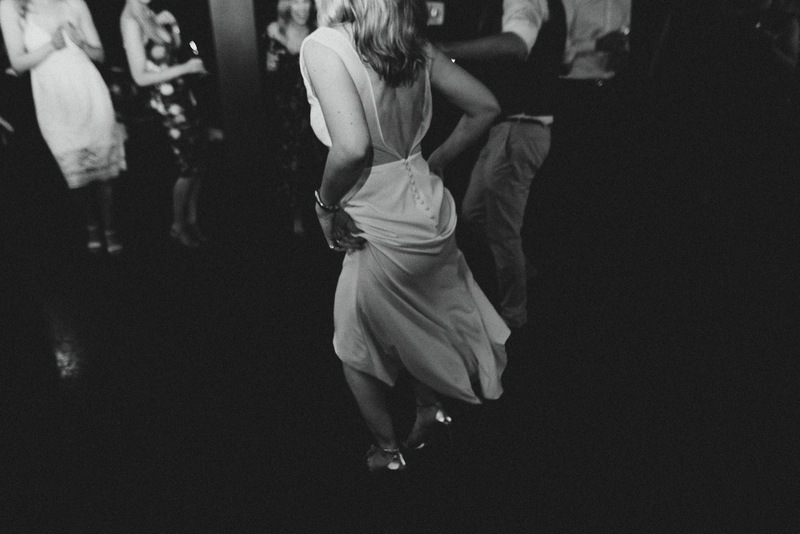 The reception took place at the stupidly beautiful Porteño Event space in Surry Hills. PS If you’re looking for a reception venue I can’t recommend Porteño enough. The space is beautiful, the food is almost offensively delicious (even the vego options for a restaurant that prides itself on its meats), and the staff could not have been bigger legends. It’s also one of the few places in the city with a late night licence, meaning you can party til the wee hours and not have to worry about getting kicked out.